Several BJP MPs told ThePrint that they trusted PM Narendra Modi to offer a fitting response to the Pulwama attack. New Delhi: The Bharatiya Janata Party (BJP) Friday asked its MPs not to issue statements on the Pulwama attack, a move meant to restrain the party’s elected representatives from feeding into public outrage over the killing of at least 40 CRPF personnel, which could come in the way of a well-calibrated and well-timed response by India. ThePrint spoke to several BJP MPs, who swore revenge against the attack and reposed faith in Prime Minister Narendra Modi to give a fitting reply to the perpetrators. At least three MPs called up ThePrint later to withdraw their names as they had been “instructed” not to say anything on this issue. The BJP’s chief pokesperson Anil Baluni, however, denied that any such instruction had been issued. Asked how they thought India should avenge the attack, many BJP MPs named Pakistan as the starting point. 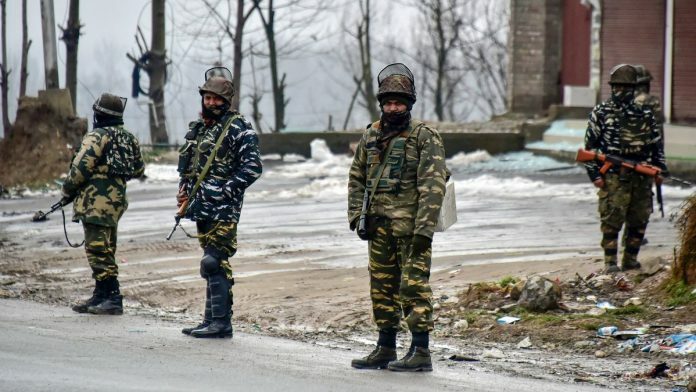 The Jaish-e-Mohammed (JeM), which has claimed responsibility for Thursday’s strike, is based in Pakistan, and the country has courted allegations of sponsoring terrorism on Indian soil for decades. “Our PM and Union Home and Defence Ministers know well what needs to be done and the government has started taking steps in the right direction,” said one MP, a possible reference to the government’s decision to withdraw the ‘Most Favoured Nation’ status to Pakistan. “I feel the Army should be given a free hand and no one should be allowed to question them. This is what Union Home Minister Rajnath Singh said earlier,” the MP added. “Those who give a safe haven to terrorists should also be deemed terrorists and action taken against them,” the MP said. An MP from Gujarat said the perpetrators of the attack would be paid back in kind. “Muh tod jawab milega,” the MP added. “This is not about politics. I can tell [you] that we have political will to destroy whosoever wants to harm us. This is a big attack and a question of the country’s pride,” the parliamentarian said. “We will retaliate. I can assure you, Pakistan will regret this attack for years to come,” the MP added. One of the BJP’s Lok Sabha members from Madhya Pradesh said “dividing Pakistan in four parts is the only permanent solution”. An MP from Uttar Pradesh said the “unfortunate incident” will be “avenged”. “I pay homage to the martyrs. One thing I know is that our PM is deeply affected by this attack, and I can assure [you] that this will be avenged,” the MP added. “I would not like to comment further as it is a very sensitive matter and we would not like to caution our enemy state,” the MP said. An MP from Bihar said he would like to leave the matter to the PM and the Union Home Minister. “I believe that whatever decision they take would be in the best interest of the nation. We will all stand by it,” the MP added. A Lok Sabha member from Maharashtra said the BJP-led central government was already tough on terrorism and the attack would trigger an “appropriate reply”. “Yesterday’s attack on CRPF personnel was disheartening,” he added. In Rajasthan, an MP said the time had come to “put an end to terrorism”. “The whole nation has to contribute. They need to give information on terrorists if they find anything suspicious,” the MP added. Army should be given a free hand … That is already the case.